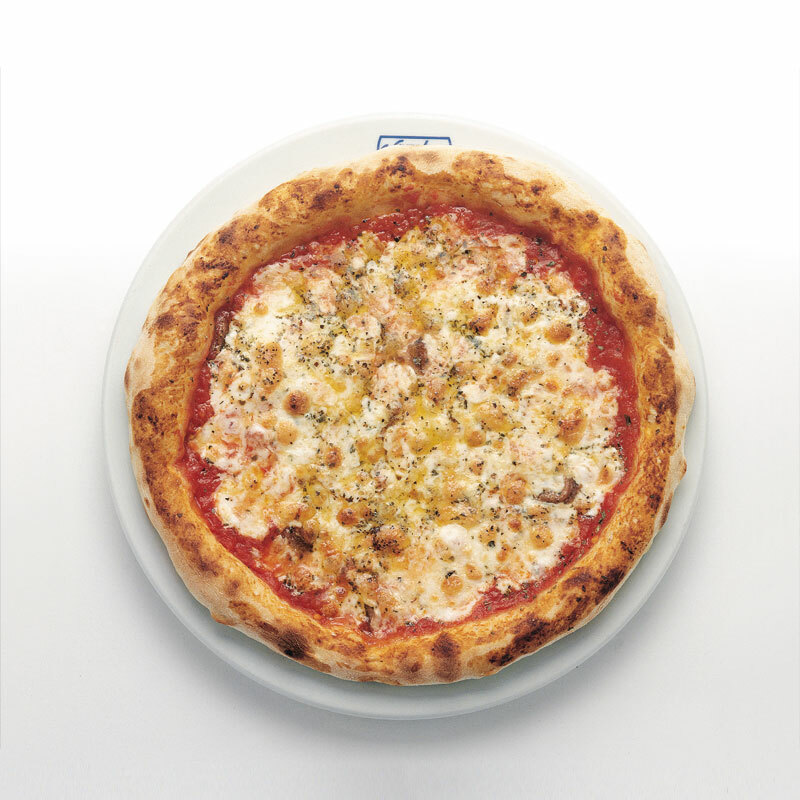 "A Santa Lucia" means pizza and Neapolitan cuisine, with its simple and fine aromas and flavours. 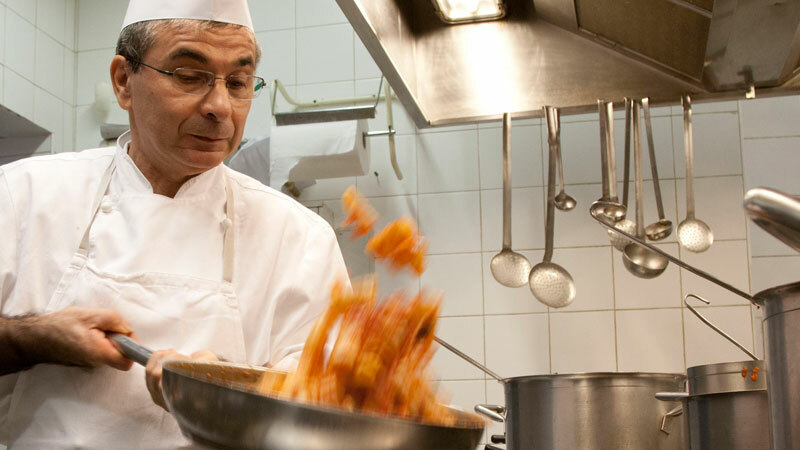 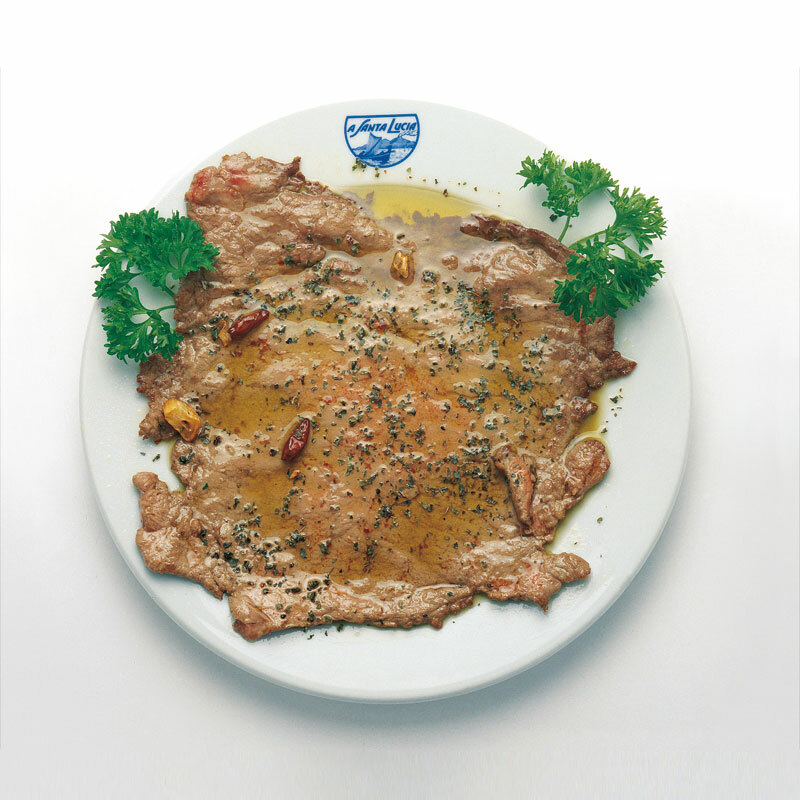 The recipes are still the classics that forged the success of this pioneer of the tasty Neapolitan dish that conquered the world. 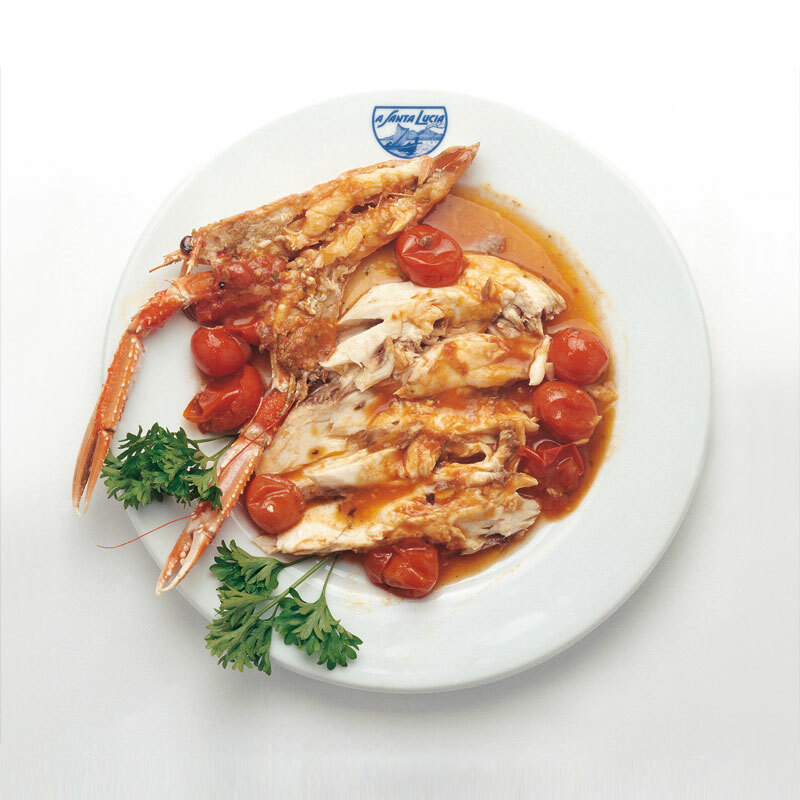 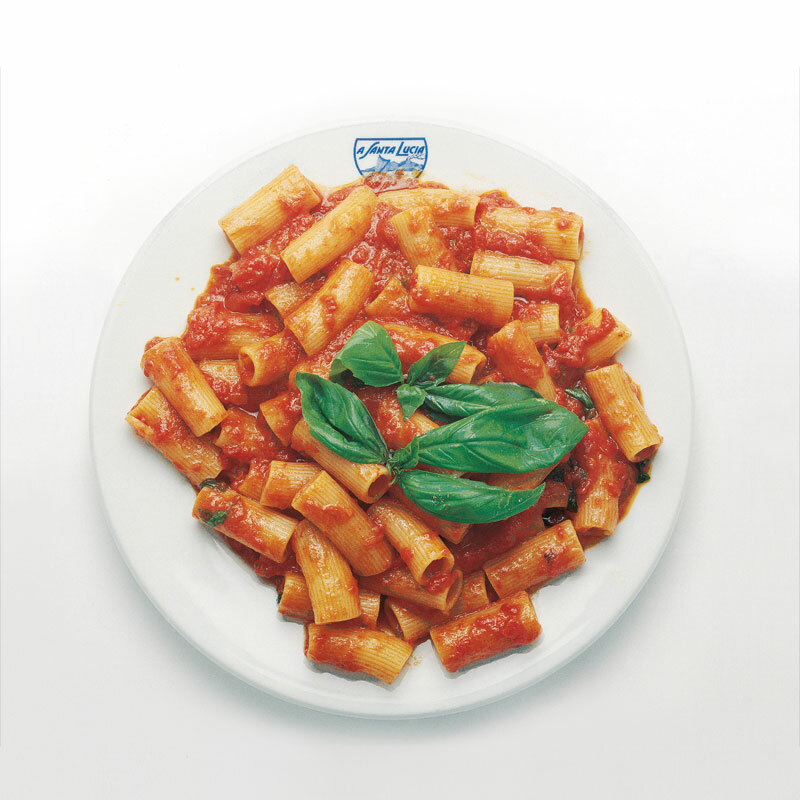 The cornerstone of the menu is rigatoni strascicati, tossed with small mountain tomatoes, basil and chilli—a recipe belonging to Franco Parenti, a regular customer of "a Santa Lucia"
Dentex, umbrine or gilthead bream cooked in the Neapolitan way, with small mountain tomatoes, and prawns or clams filled with rosemary and fennel leaves. 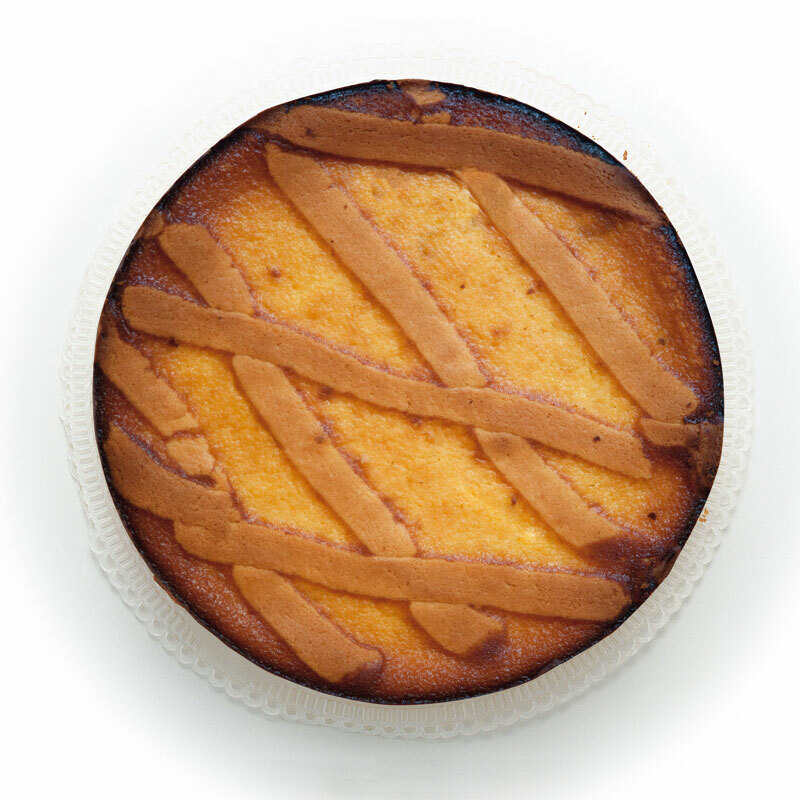 ... and finally an incomparable sweet pastry—a Neapolitan tart made with a sweet filling of cream cheese. 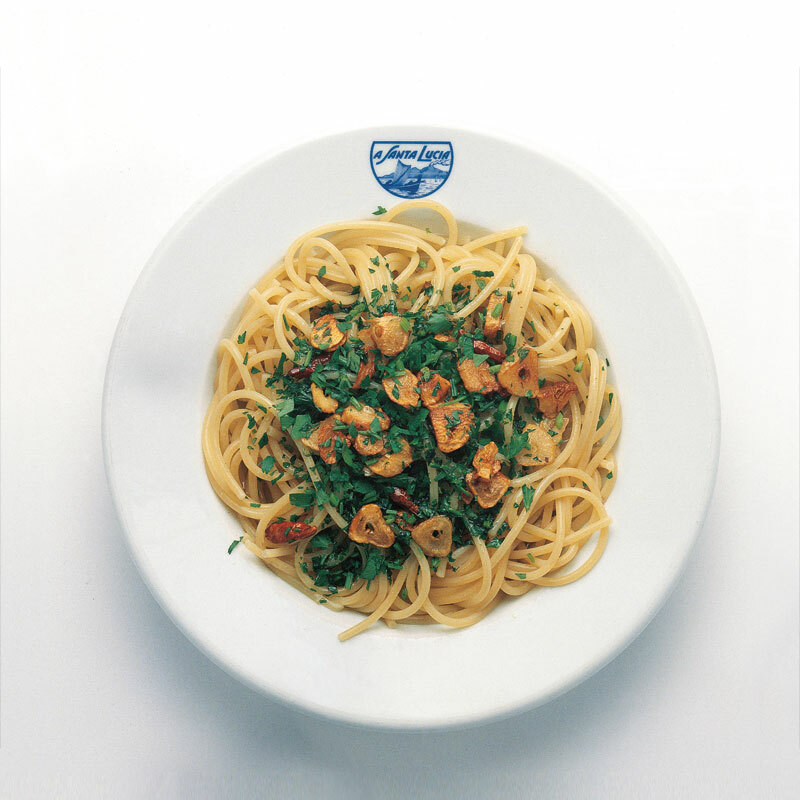 To go with their food, “a Santa Lucia” offers a selection of the best Italian wines, among including some excellent wines from Campania, like Fiano d’Avellino, Greco di Tufo and Taurasi.